French Minister discusses economic relations during visit to Moscow. 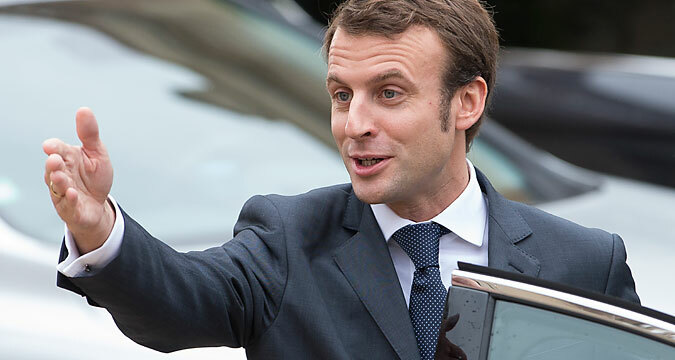 During a visit to Moscow on January 27, 2016 French Minister of Economy, Industry and Digital Affairs Emmanuel Macron praised the professionalism of the Central Bank of Russia and promised governmental support to French oil companies that work in Russia. — How does the Russian food embargo affect French companies? — It can can be harmful in some areas, for example, in industries that are highly dependent on exports. But it is a very narrow group of sanctions that affect some geographical areas, certain sectors [of agriculture]. — Is the French government ready to support Total on Yamal [LNG mega-project on the Yamal Peninsula in northern Siberia] if it faces difficulties? —The French government supports the Total, Vinci and Technip groups with technical issues on these projects. We know what the limitations are, but they are not linked with European sanctions, but are risks that companies incur that could arise with American officialdom as well. The French government is holding a professional and benevolent dialogue with these groups to help them to find a way out of this situation. This project is important for the three groups that I have mentioned and it is also important for the Russian economy. I believe that our role is to guide this project. The delegation includes representatives of the Société Générale and Crédit Agricole executive committees, which finance this project and are very involved in the work on clarifying its terms. — Could the fall of the ruble provoke Russians to stop buying French luxury goods? — No. Even if the fall of the ruble has an impact, this won’t be the first thing to happen. First, undoubtedly we will see the Central Bank, whose management I know well and respect, make some moves and it will make decisions quickly. Commenting on Russia's monetary policy is not part of my mandate, but we can say that the fluctuations in the currency market are bound to have an impact on some industries. I do not think it will affect the demand for luxury goods, not least because buyers are not paying for them primarily in rubles. Secondly, I am sure that the government and the Central Bank of Russia will be able to respond to this volatility. Read the full version in Russian at RBC daily website.